At the First Appearance Hearing, the judge is only going to consider two things: probable cause and bond. As far as probable cause is concerned, the judge is usually just going to read the police report and make a determination that probable cause exists. The judge is not going to let you explain why you are not guilty. The judge is probably not going to let you speak very much at all. This is not a proceeding where the facts will be litigated. There are exceptions though. 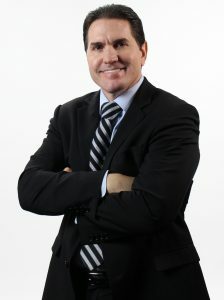 For example, if you were charged with grand theft, but the police report completely leaves out the value of the items alleged to have been stolen, then your criminal defense lawyer may be able to argue that there is not probable cause for grand theft. At that point, the judge will either give you a bond based on the lesser petit theft (which would be a lower bond), or would pass your case and keep you in custody until the State could amend the police report or bring the officer in to testify to the amount. If this is the case, the judge will typically pass your case to the next day. The only other thing the judge is going to consider at the First Appearance Hearing is what your bond should be. Typically, the more serious the allegations, the higher the bond. However, there are several factors the judge is supposed to take into consideration. As a practical matter, however, most of these judges have been setting bonds for a long time and they have a pretty good idea of the range they are going to abide by for a particular type of offense. Because there are so many people who are going before the judge in such a short period of time (typically more than 100 people per day), the judge is not going take a whole lot of time to consider your particular case. Therefore, it can be very helpful to have a private criminal defense attorney meet with you and family members before the hearing to obtain relevant information that the criminal attorney can get out to the judge in a precise manner, which may result in a lower bond. What kinds of things will the judge consider in setting a bond? A violent offense is going to typically come with a higher bond, even if you have no prior record. Unfortunately, judges don’t typically spend a lot of time on this factor because they don’t have time to litigate the facts, but if it is a weak case, the judge should take that into consideration. If you are arrested here, but don’t live here and have no family here, the judge is likely to set a higher bond. If you have lived here for your entire life and your entire family is here, the judge may set a lower bond. Similarly, if you have a regular job and stable address and stable home life, the judge may set a lower bond. past and present conduct, which includes prior record or lack of prior record, prior failures to appear for court, prior violations of probation. The worse your prior record, the higher the judge will typically set the bond. The other thing your criminal defense attorney will do is ask for a reasonable bond. What is a reasonable bond? It depends. It depends on the charge. It depends on the bond factors. It depends on the judge. Some judges give higher bonds than others. Some judges give higher bonds on certain offenses than others. It is important that your criminal defense attorney knows your judge and your judge’s tendencies. Asking for an unreasonable bond will lead to a loss of credibility with the judge and the judge may give a higher bond. Once the judge sets a bond, you have two options. You can either pay the entire amount to the jail. If you do this, you will get the entire amount back as long as the person shows up for court throughout the process. However, this is rare because the bonds are typically too high to pay in their entirety. Therefore, most people use the second option, which is to pay a bondsman. This works by paying the bondsman a percentage of the bond, typically 10% and by pledging collateral. So, if the bond was $10,000, you would pay a bondsman $1000. 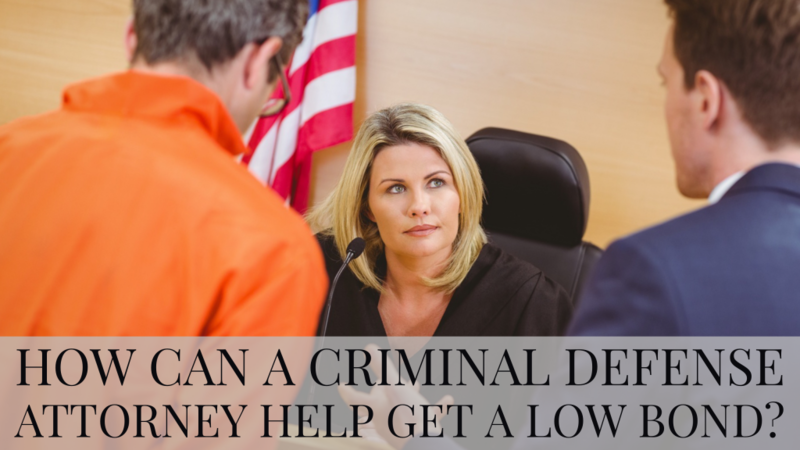 If the person fails to appear for court, the bondsman will be on the hook for the entire $10,000. The $1000 is the bondsman’s fee. You do not get that back. That is the fee for the bondsman taking the risk that he or she will be on the hook for the entire amount.